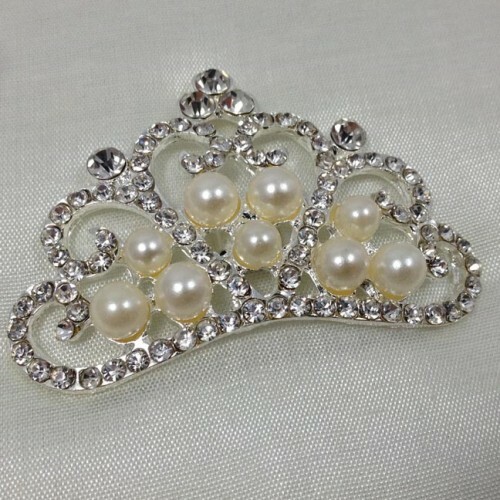 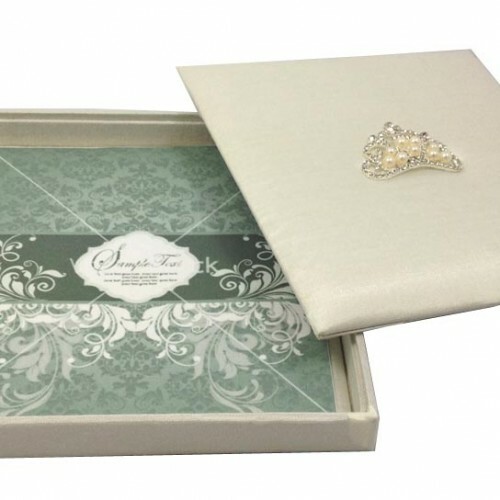 Quinceañera or also called fiesta de quince años is the important celebration of a girl’s fifteenth birthday with it’s origins in Latin America. 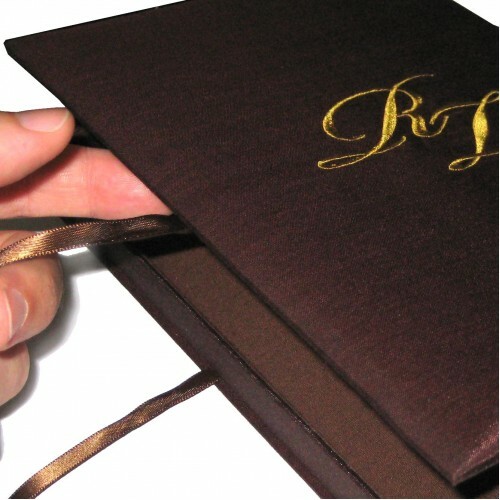 Now celebrated all over the world by latin Americans. 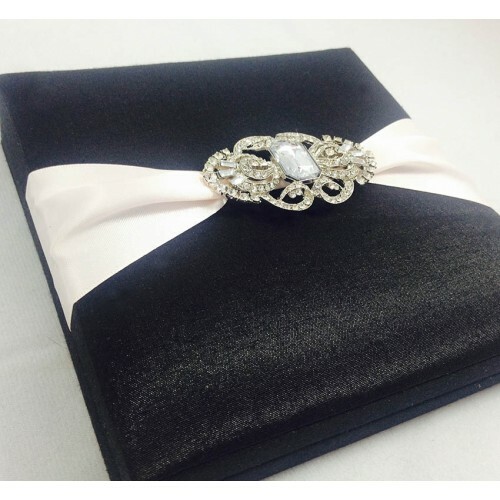 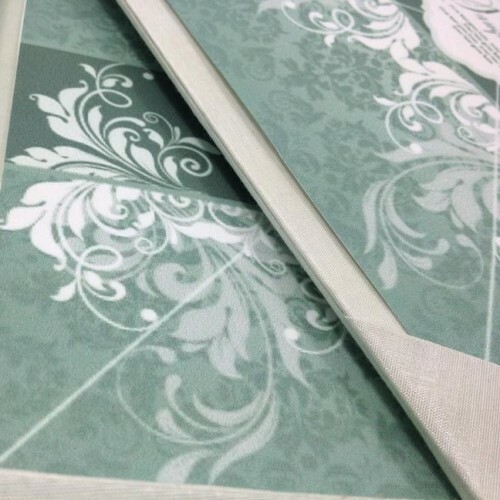 We design elegant invitation creations for their special day invitations. 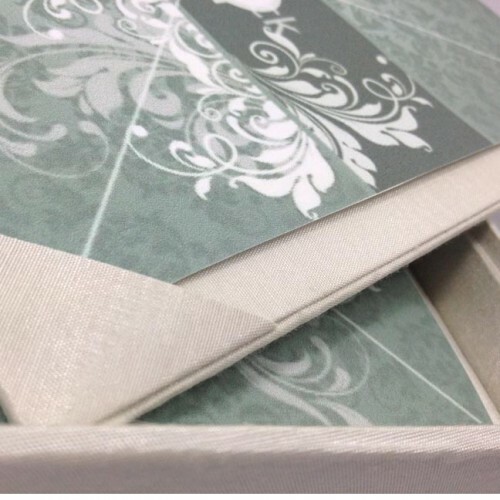 We celebrate the Quinceañera with you with this extraordinary invitation box which is also available in colors including pink, baby blue, tiffany blue or purple. 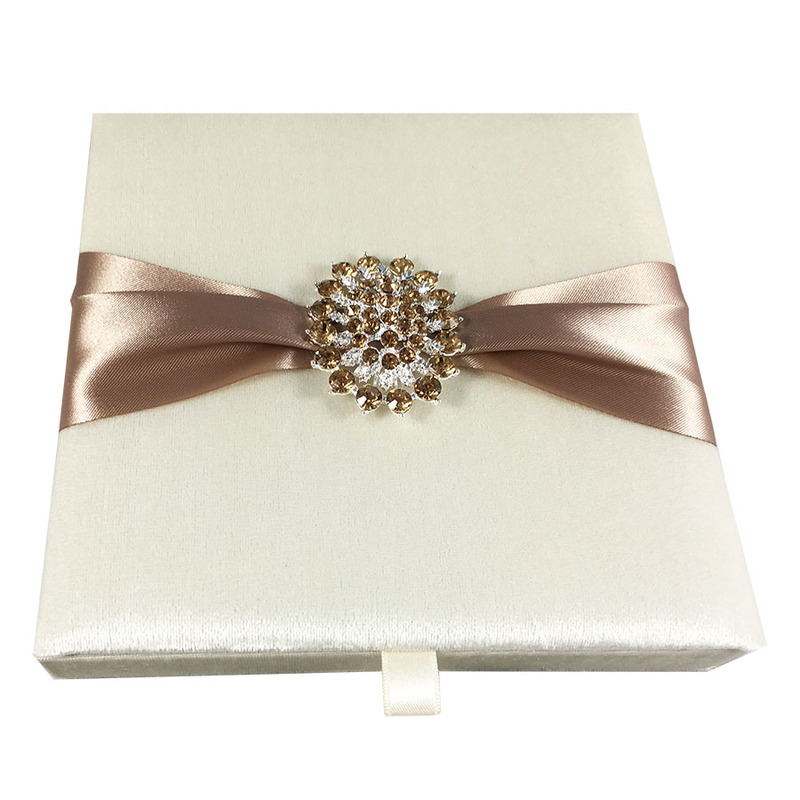 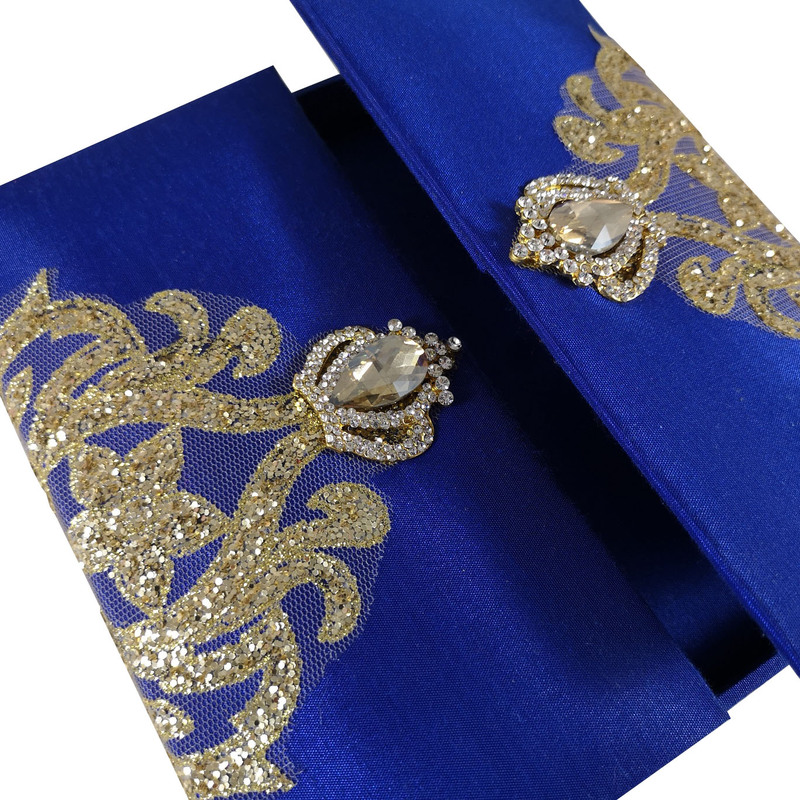 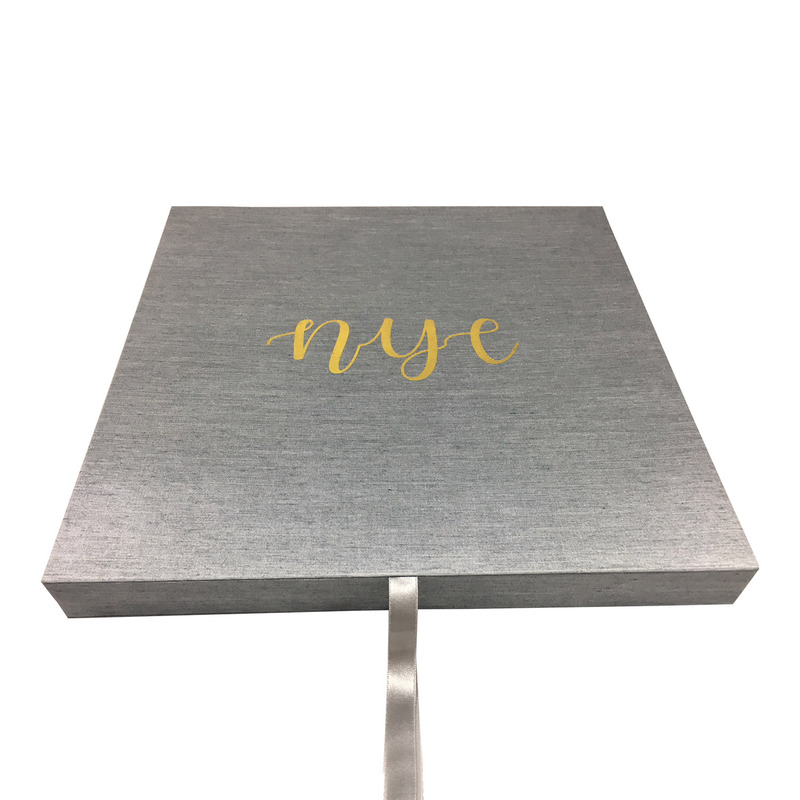 Let’s invite guest coming to your girl’s fifteenth birthday Quinceañera with this Latin America inspired original invitation box featuring gold plated rhinestone brooch. 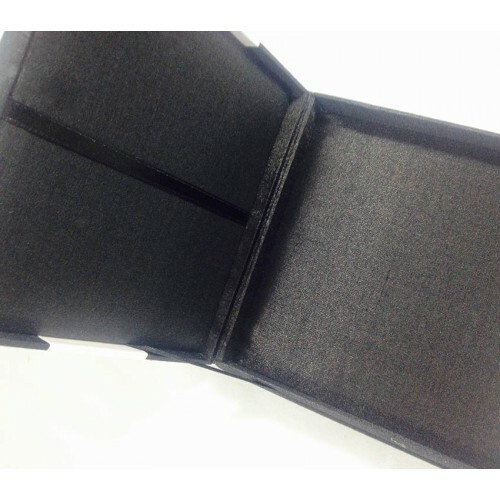 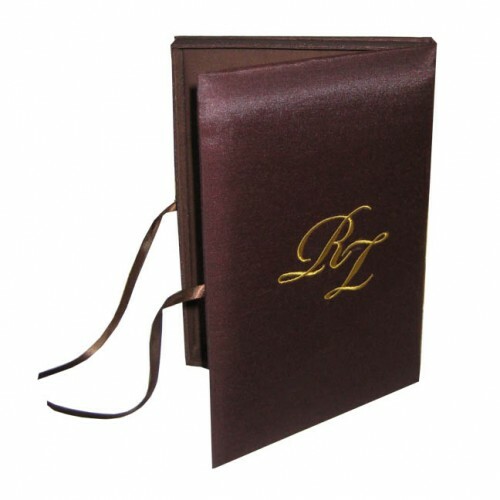 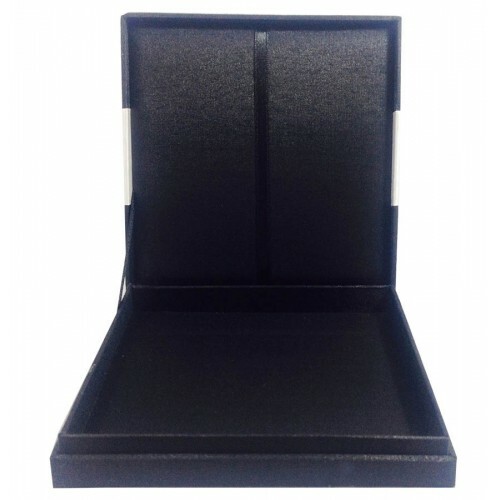 Measuring 7x7x1 inches, this velvet box has a hinged lid with decent ribbon tongue for easy opening. 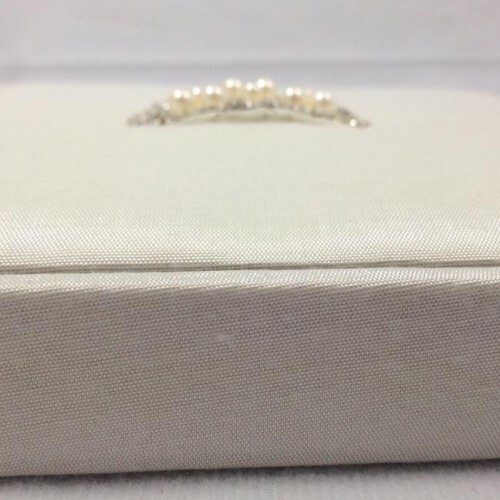 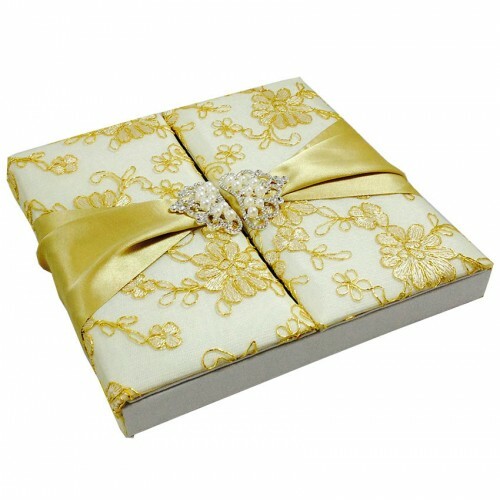 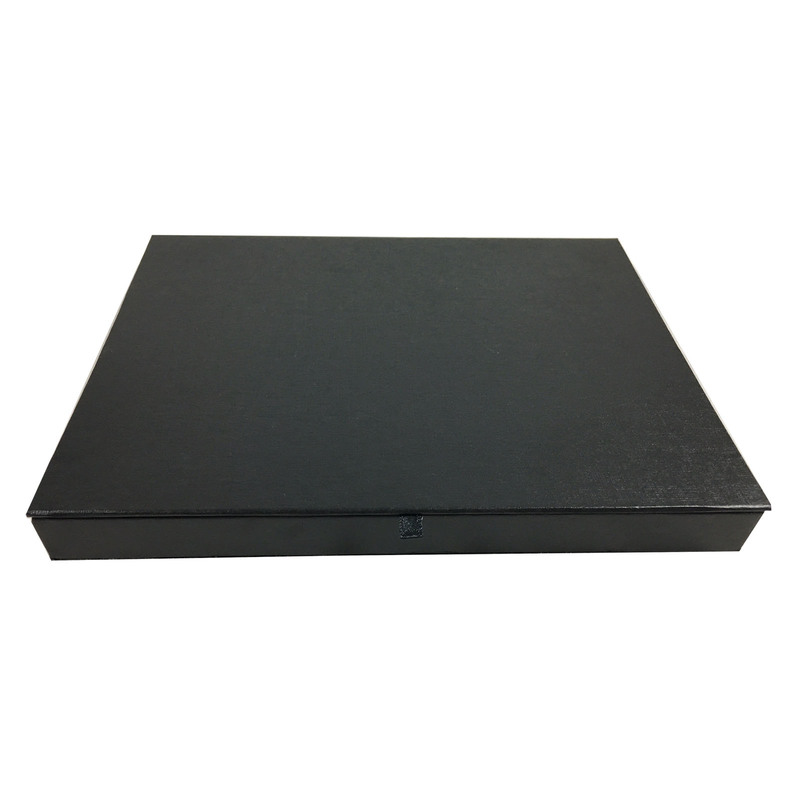 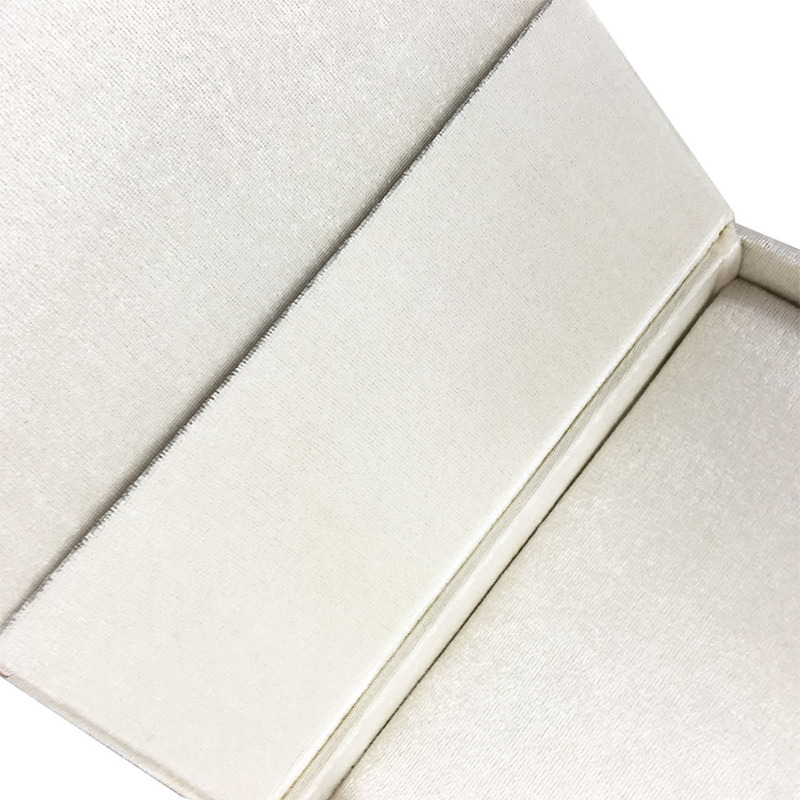 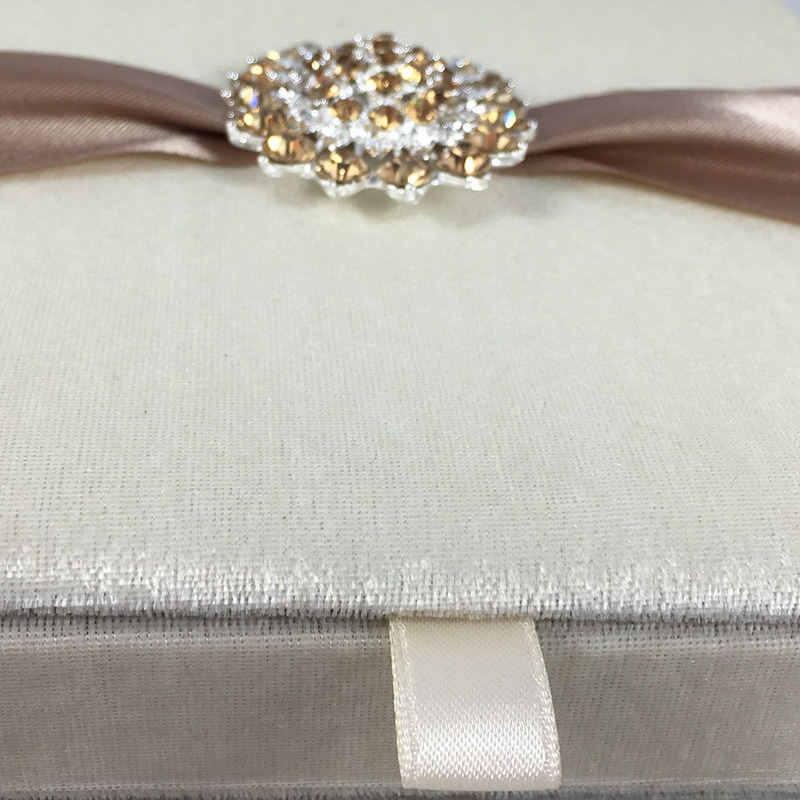 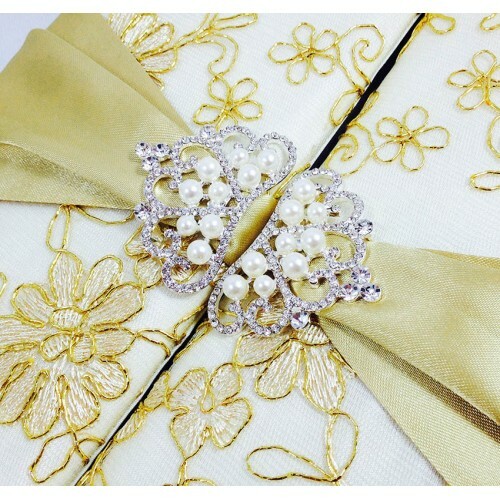 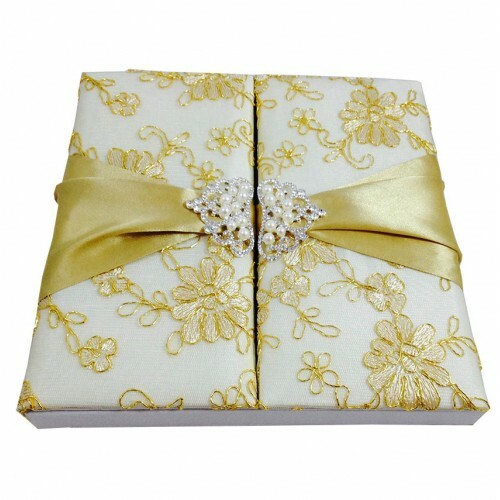 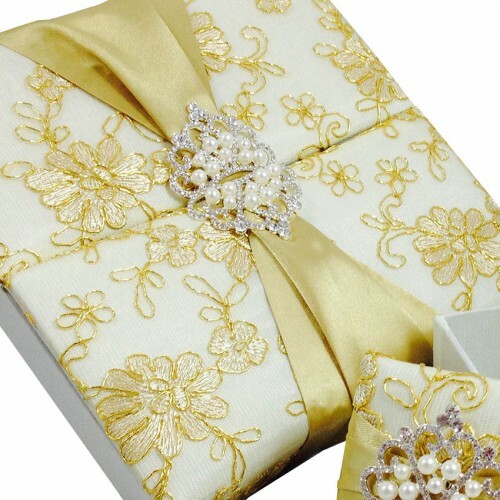 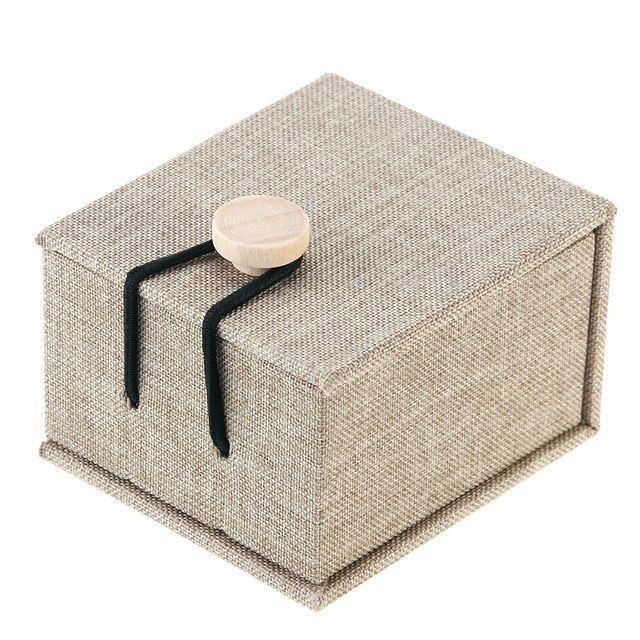 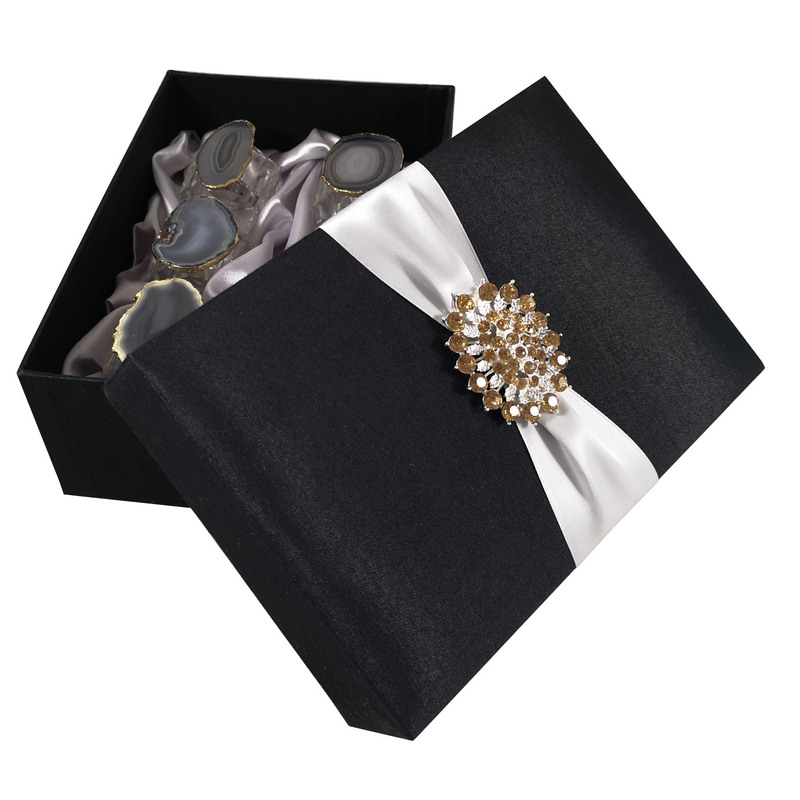 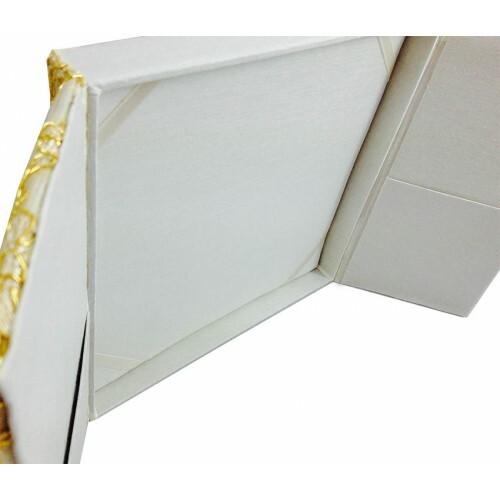 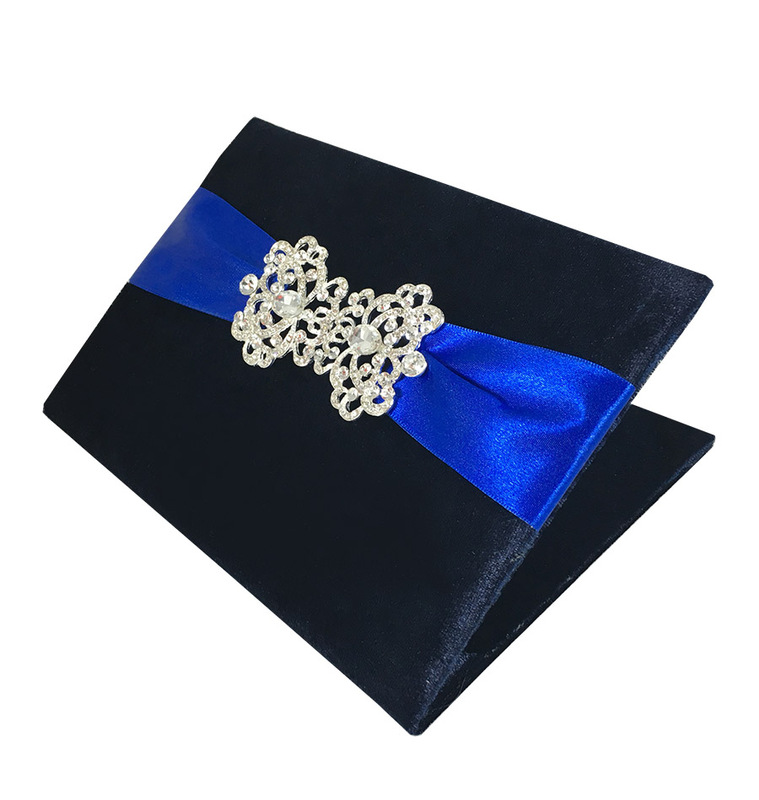 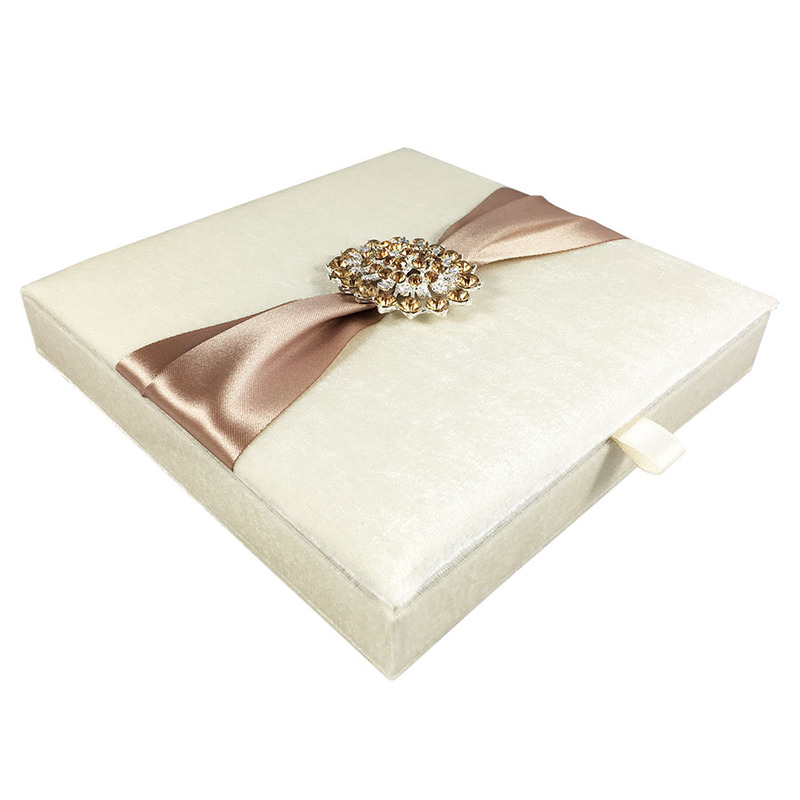 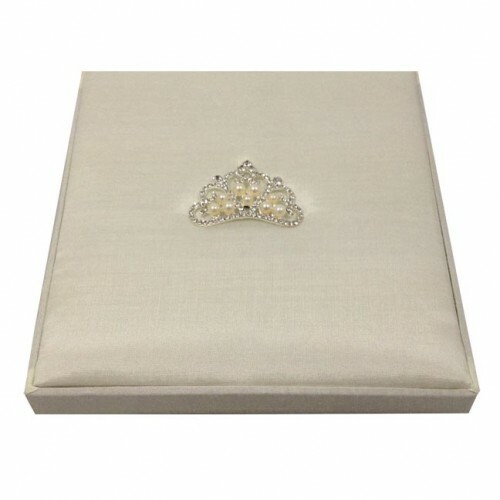 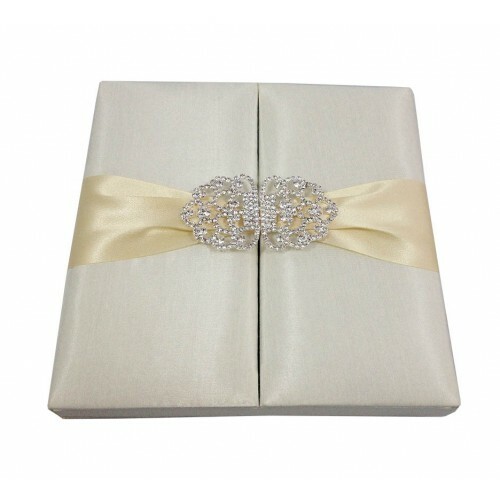 The box is padded on the inside and outside and entirely covered with ivory velvet. 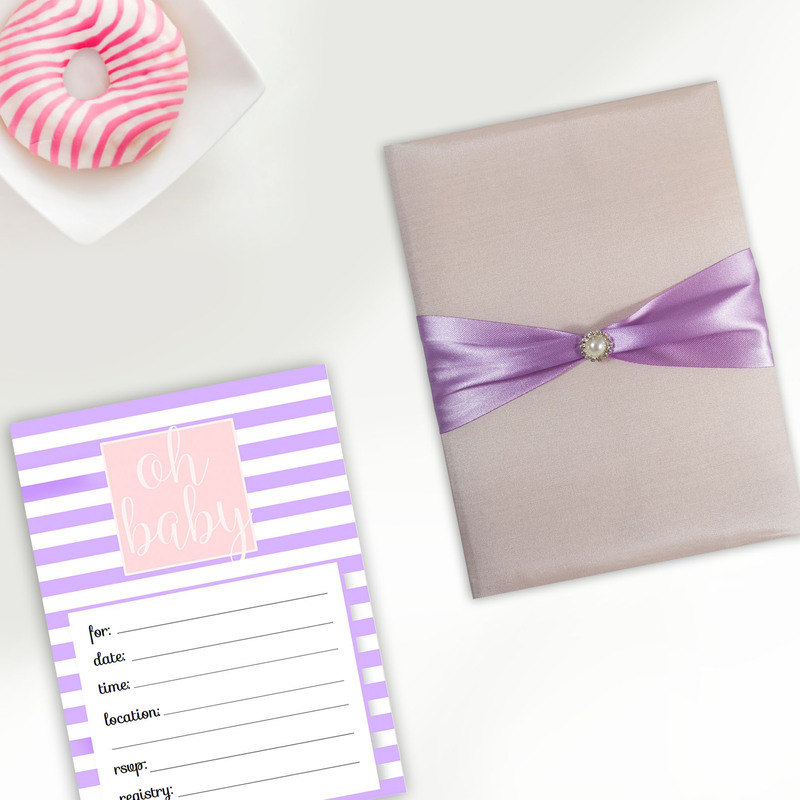 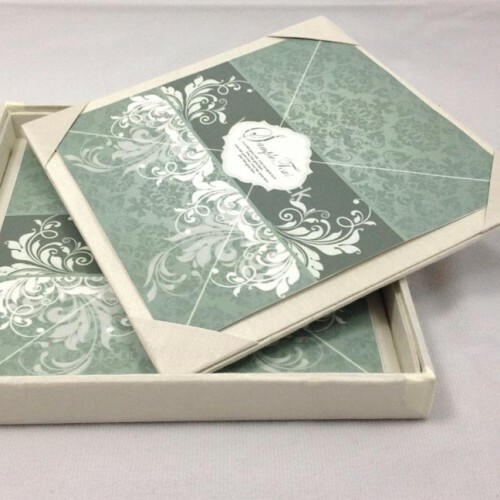 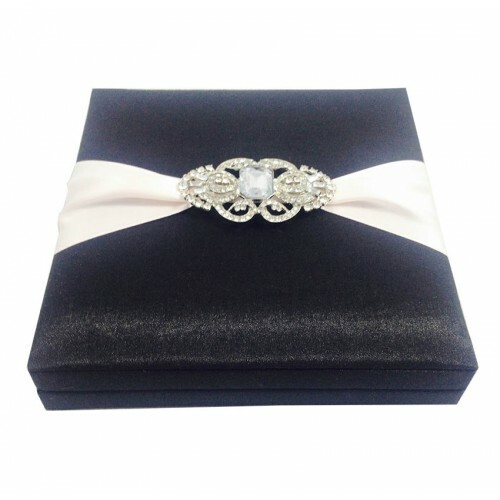 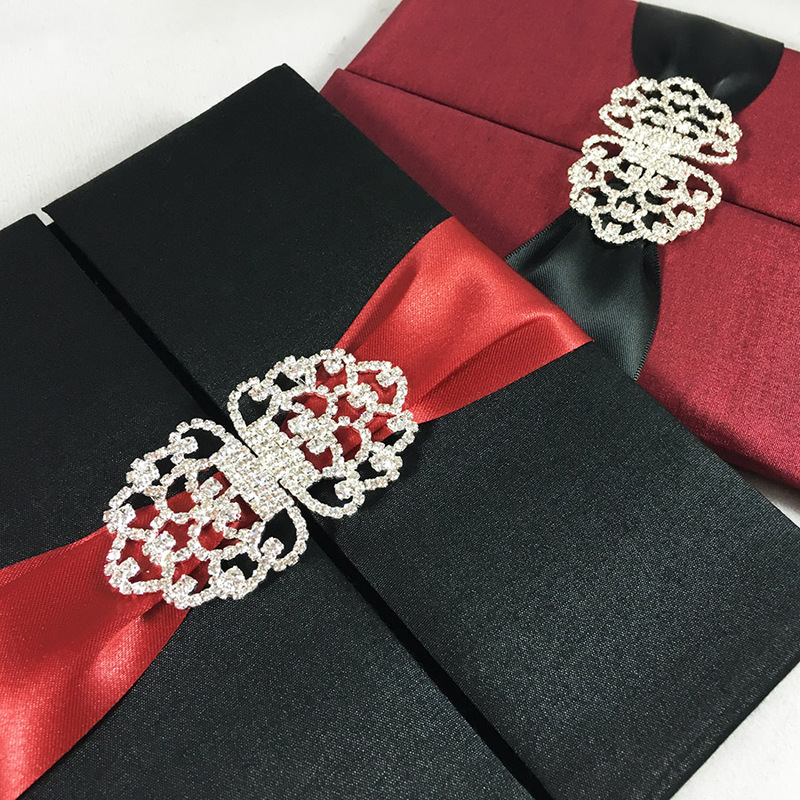 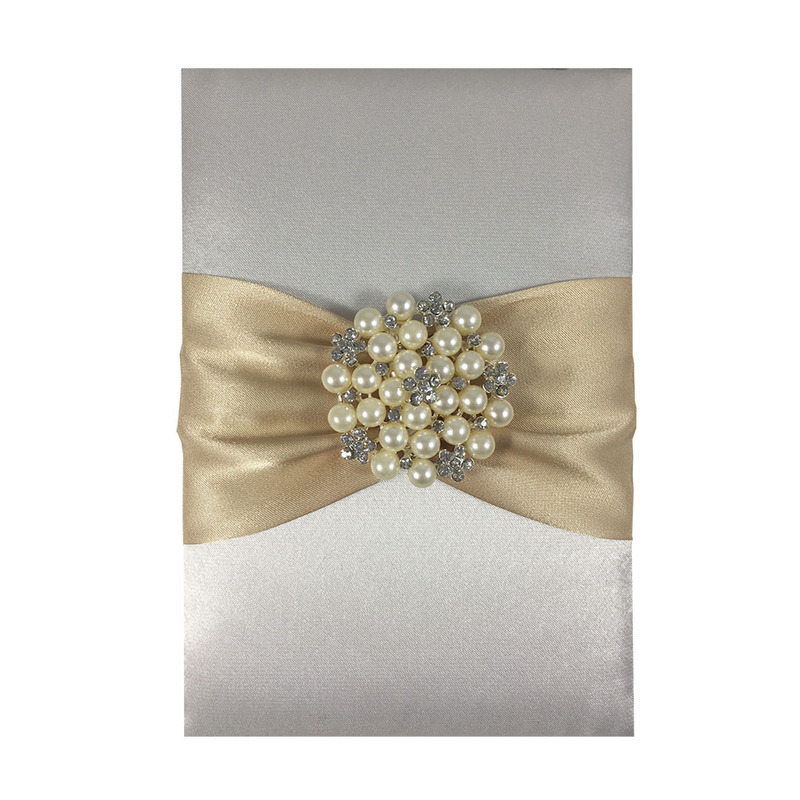 Your Quinceañera invitation cards will be placed on the bottom of the box and additional RSVP cards can be placed into the pocket placed behind the lid of the box inner. 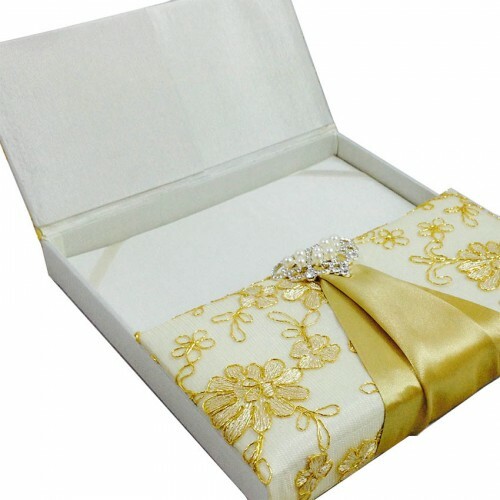 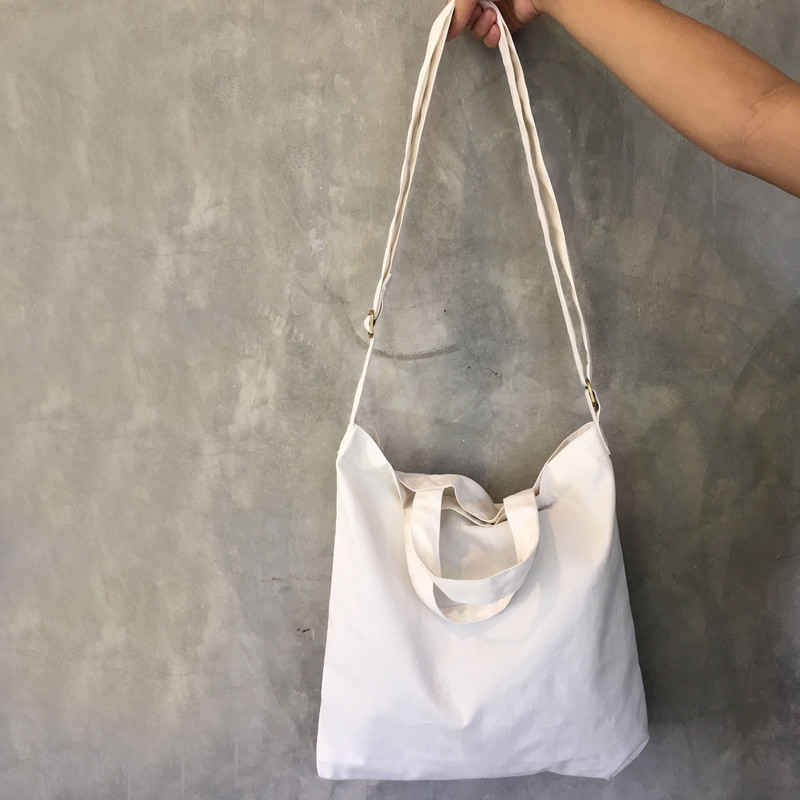 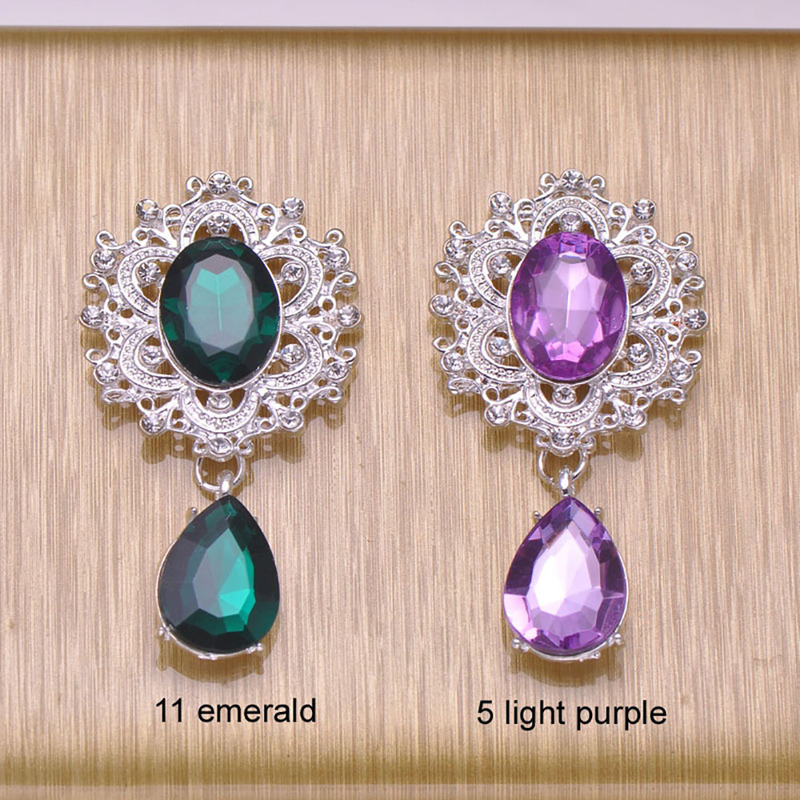 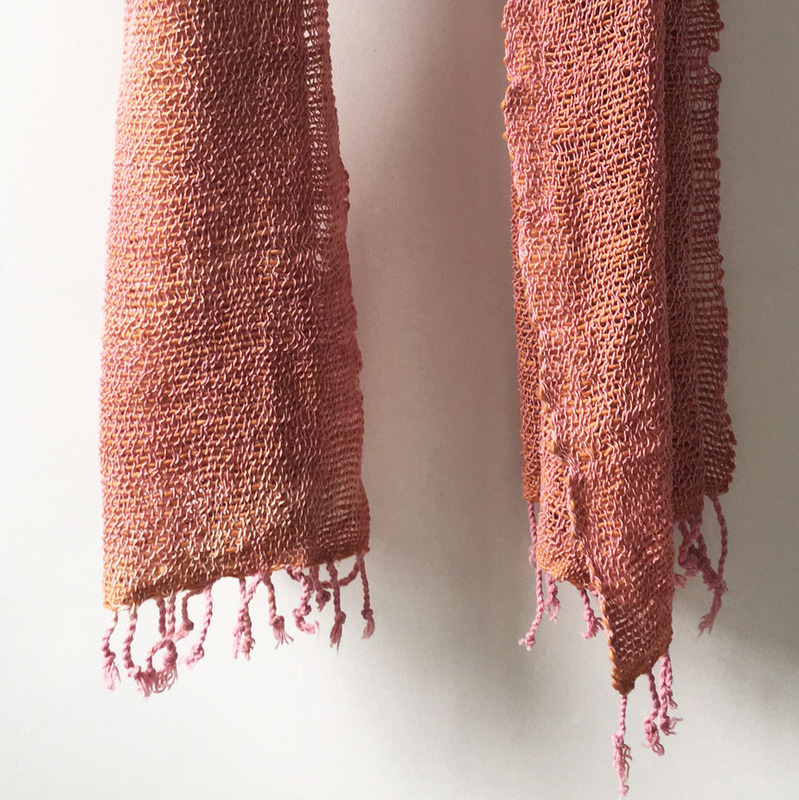 Different materials including silk and cotton are available. 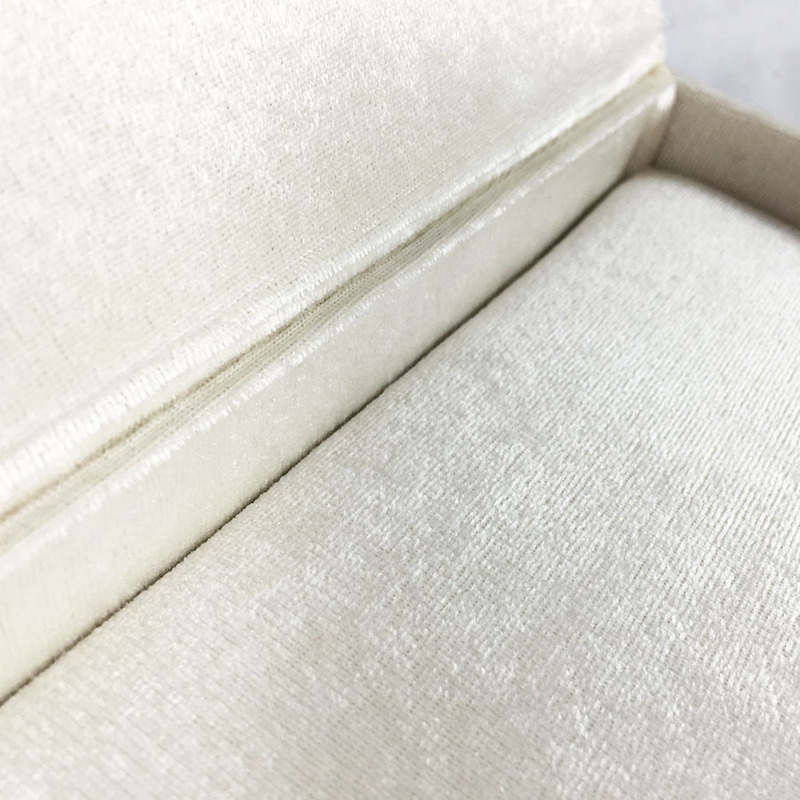 Some clients even send us their traditional hand-made Latin American fabrics which we can use in most cases instead of velvet or silk as well. 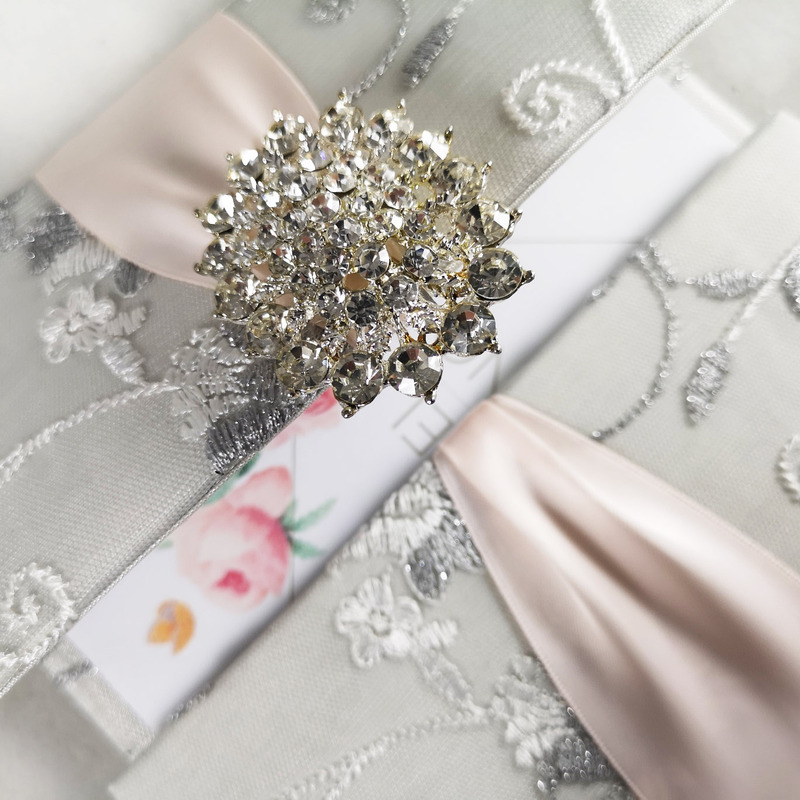 get in touch with us and let us make your Quinceañera celebration a luxury one from the start!